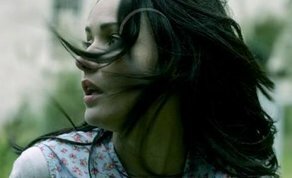 IFTN caught up with writer/director Viko Nikci to find out more about the story’s inspiration, the filming process and the importance of post-production in delivering this chilling and thought-provoking mystery thriller. IFTN journalist Nathan Griffin caught up with Viko earlier this week. For a debut feature film, you certainly didn’t shy away from taking on complex narratives and structures. How crucial was the pre-production period in delivering such a thought provoking story? The film follows a warped and non-linear story line that sees the protagonist revisit a number of key locations throughout the film. Can you tell me how you approached this as a director? The dark and unnerving subject matter is intensified by the staggered editing style of the film. How much emphasis did you put on this process in the post-production stage and why was this important for the film? Can you tell me a little bit about the casting process and how you came across Karen?